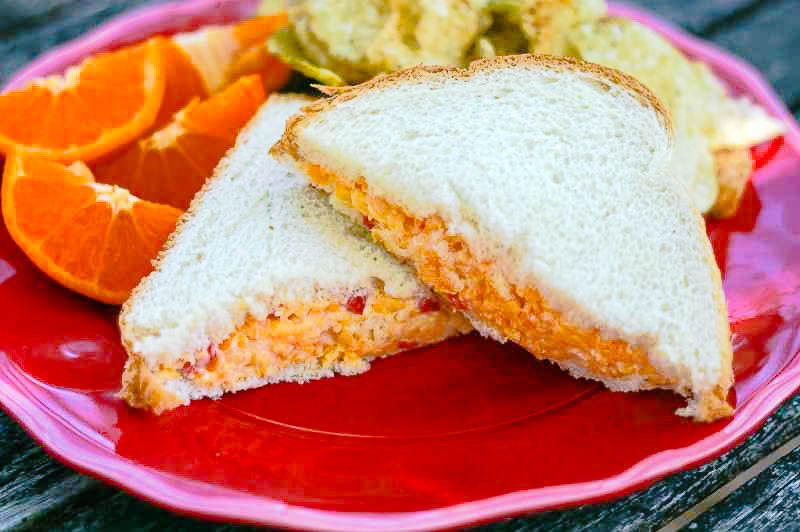 Pimento Cheese is a savory Southern sandwich spread that’s quick and easy to make! Pimento Cheese is a simple combination of cheddar and American cheeses with pimiento peppers and other seasonings. It’s one of those foods that conjure up church fellowships and sandwich suppers from when I was little. Pimento cheese sandwiches were the first thing I’d grab for, and still do today if they’re being served! This quick and easy recipe is a combination of the way my grandmother and my husbands grandmother made theirs. I love it! Use pimento cheese as a delicious sandwich spread or slathered on crackers, or a dip for fresh cut vegetables. Some folks even use it to make grilled cheese sandwiches or as an additional topping to burgers. 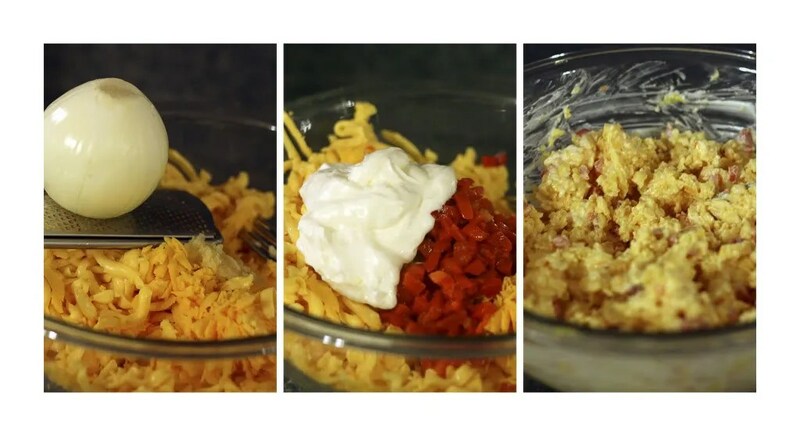 This simple recipe combines all ingredients in one bowl and you’re done! I think the flavor is better if you cover and place it in the refrigerator for several hours or overnight before using. But most of the time I just can’t wait! Keep unused portions chilled in an airtight container in the refrigerator. This will keep for up to two weeks in the refrigerator. Combine all the ingredients in a medium bowl and mix thoroughly to combine. Store in an airtight container in the refrigerator. Keep unused pimento cheese in a airtight container in the refrigerator for up to two weeks. how long can you store pimento cheese spread? 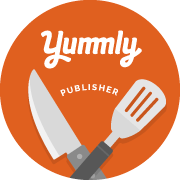 Your recipe on pimento cheese sounds really yummy, can’t wait to try it; your website will be one of my favorite stops whenever I try something new or a new twist on an old recipe. Thanks loads for the recipes.